We offer a comprehensive range of plastic water carriers manufactured using high grade tough, non-toxic and recyclable plastic. Our water carriers are available in attractive designs and colours. Our wide gamut of water carriers comprises of the following types: • Aqua Water Carriers • Glacier Water Carriers • Kids Water Bottles. 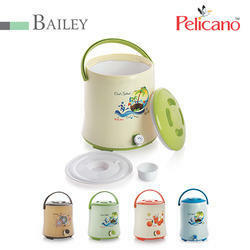 With our in-depth knowledge and experience of this industry, we are engaged in offering a wide range of water Jugs, This Brand Name is Called " Bailey" available in different sizes. We are the manufacturer and supplier of Freeze Liquid Jugs available in different sizes. 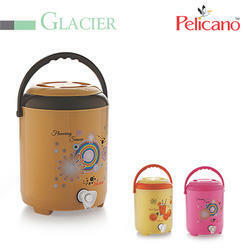 We are the manufacturer and supplier of Freeze Water Jugs. We provide insulated water carrier that are available with sturdy handles and removable wide mouth to fill water easily. Our innovative, state of the art insulated water carriers provides maximum heat and cold retention even in the most extreme weather. The high density plastic used in the water carriers offers shock resistant and durable.